The Bio-Synergy™ Dual Fuel™ Shaker Bottle combines style with convenience. 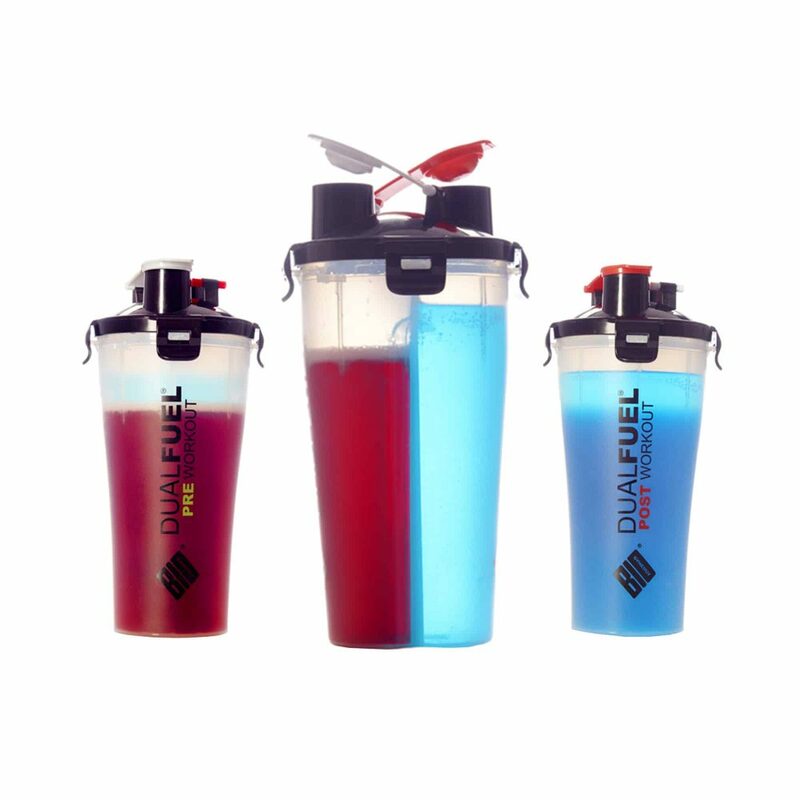 Uniquely, the Dual Fuel™ bottle is effectively split in half, creating two completely separate mixing compartments. Anyone who want the convenience of two pre-made drinks or the ability to store any two items knowing that they are secure. Or go large, and put the same drink in both compartments! The Bio-Synergy™ Dual Fuel™ Shaker Bottle is clear, so that you can easily see how much you have in each compartment. There are two drinking spouts on the lid, one of which is black, and one of which is red – ensuring you won’t confuse your pre-workout with your post-workout! The two compartments are completely sealed off from one another so you will not end up with pre-post cocktail! with separate drinking spouts, separate mixing gauzes, separate seals and separate volume measures on the side of the bottle. It’s effectively two bottles in one!